Everybody likes Chocolate, and there are scientific theories that prove chocolate is therapeutic; which is indeed good news for all chocolate lovers! Check out my chocolate recipes like Chocolate biscuit pudding, Eggless Chocolate Brownies, Chocolate strawberry cake, Mahogany cake, moist Black forest cake, Creamy Chocolate Orange cake, chocolate dipped Doughnuts etc. and pamper yourselves with an invigorating celebration of chocolate. Also, check my baker’s basket for wonderful baked goodies recipe. You will find a lot of interesting recipes to cater to your loved ones- like Homemade Soft Cinnamon Rolls, Sausage Dinner rolls, Stuffed Garlic Bread, Chicken Tikka Pizza, Egg Puffs, Crescent rolls, Paneer Puffs, Cookies, Teacakes and other exotic cakes,Rich Plum cake etc. Mocha cake is a wondeful combination of Chocolate and Coffee, like Mahogany cake. 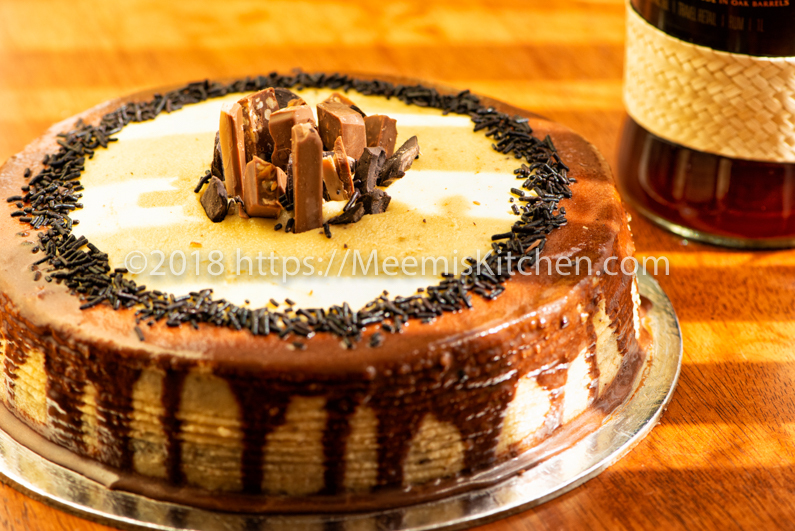 Coffee Butter Cream topping makes it extremely delicious and appealing. There are loads of flavours in Mocha cake- the bitterness of the coffee and cocoa is perfectly balanced with the Sugar Rum Syrup and coffee Buttercream. This rum soaked Mocha cake gets better with time, the longer you allow cake to sit and soak the rum, the more divine it will turn out to be! 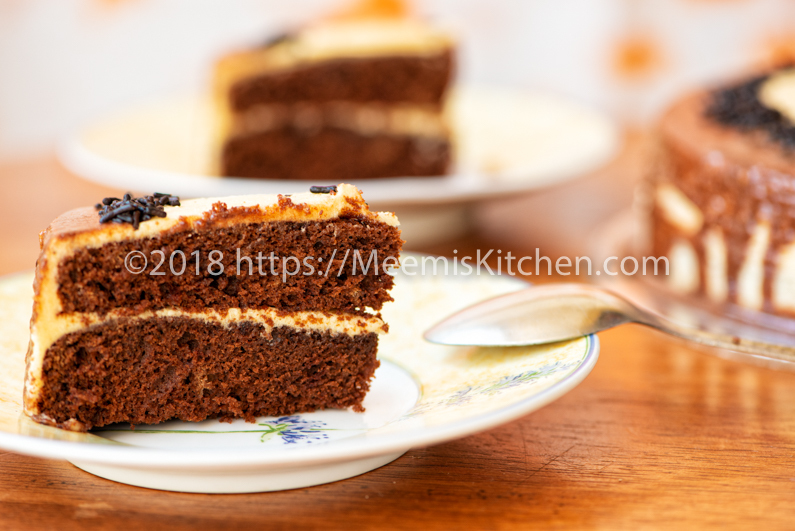 So, plan and prepare the cake a day or two in advance, well, ‘that is if you can resist the temptation!’ Hope you will try this wonderful recipe for Mocha cake. Wishing you all Joy during the advent season, as you open your heart and homes for a beautiful Christmas. Enjoy! Grease two 7 inch round tins and line it with butter paper, then again, grease, dust and keep ready. 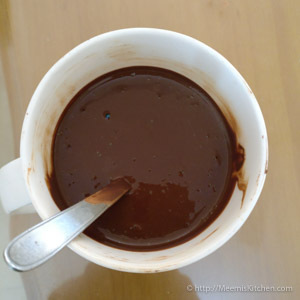 Mix Hot water with Cocoa and Coffee Powder without any lumps. When it cools down, add ¼ cup Rum and mix well. Keep aside. Beat the butter and powdered sugar till fluffy. Separate egg yolk and white. 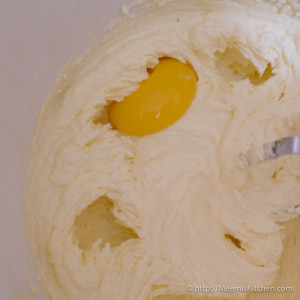 Add the yolk to the Butter mix one at a time and beat well. Mix in Vanilla essence and add Mocha Rum Mix little by little and combine well. Preheat the oven to 170oC. 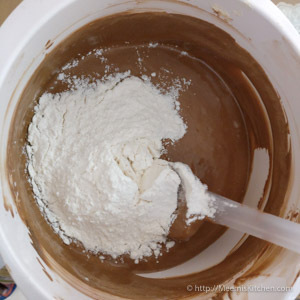 Sieve the flour and Baking Soda together three times. Beat the curd and add little to the batter and gently fold in. Add little flour and fold in. Now, add the curd alternately with flour. Lastly, beat the egg white till stiff and combine well. Pour the batter to the greased tin and bake in the preheated oven for 15 minutes and change the temperature to 160oC and continue baking for another 20 – 25 minutes or till the inserted toothpick comes out with dry crumbs. Let it cool completely. For preparing Sugar Rum Syrup, mix ¼ cup Sugar with ¼ cup water and bring to a boil. Simmer for 5 minutes and allow to cool slightly. Mix with 2 tbsp Rum when it is warm. Keep aside. 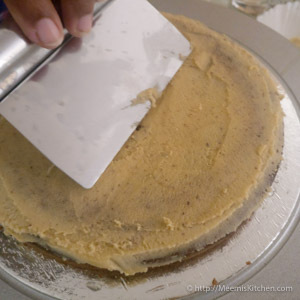 Invert the cake to a cake board and cut horizontally into two even layers. Poke both the surface of the cake with a needle/ Tooth Pick. Now drizzle the sugary Rum syrup all over the surface (inner) of the cake, very slowly and allow the syrup to seep through the holes. 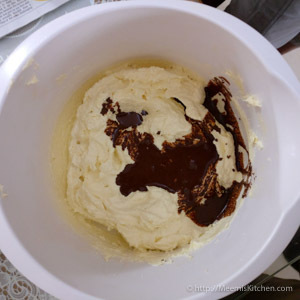 Mix the ingredients for Coffee Butter cream to make a smooth cream. Spread it evenly over the cake and cover with the other half. Again, spread the Coffee Butter Cream all over the cake and the sides to cover it well. Decorate with Chocolate Ganache and chocolate sprinkles. As I had mentioned earlier, Mocha Rum Cake is best enjoyed after a day or two, as the rich flavours develop over time and the Rum acts as a preservative and keep it incredibly moist. Well, wishing you solid rock resistance against temptations! Enjoy! 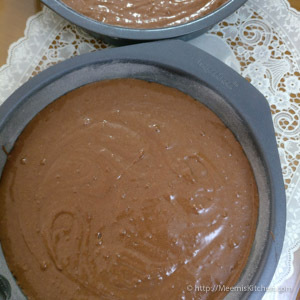 Any good quality instant coffee can be used for this Mocha Cake recipe. I used Nescafe. Sieve flour and baking soda together for two to three times. Rum should be mixed with Mocha mix after it cools down. 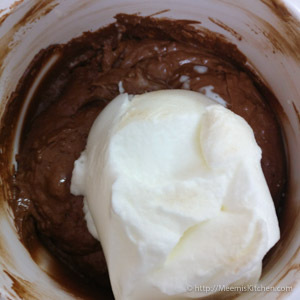 Use a spatula or wooden spoon to fold the flour and curd to the chocolate batter to avoid over mixing. Egg whites should be beaten till stiff. 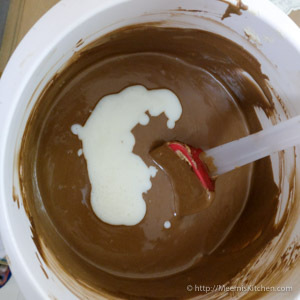 Gently fold in to the batter. Bake at 170oC for the first 15 minutes and reduce the temperature to 160oC and bake till done. This is to avoid cracking of the top. Wait till the cake is cooled completely before cutting. 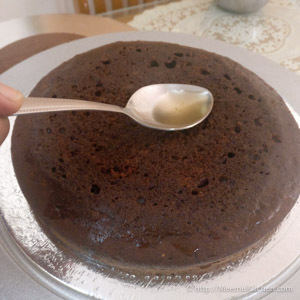 Make holes on the cake with a needle or Tooth Pick to allow the rum syrup to seep in. Drizzle the Rum Syrup very slowly to ensure even soaking. Coffee Buttercream is the perfect frosting for Mocha cake. I have tried with whipped cream as well but recommend Coffee Butter Cream for better taste. 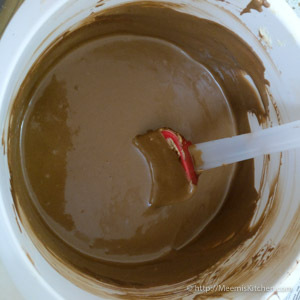 Hope you liked this Mocha Rum Cake recipe. Enjoy with family and friends on special occasions. Please continue to support and encourage me by commenting below or by sharing to your friends using the links on the side. God Bless! !